Way to tease an old bugger Harry. I would have scoffed into that lot for sure! Pickled eggs to start him off. 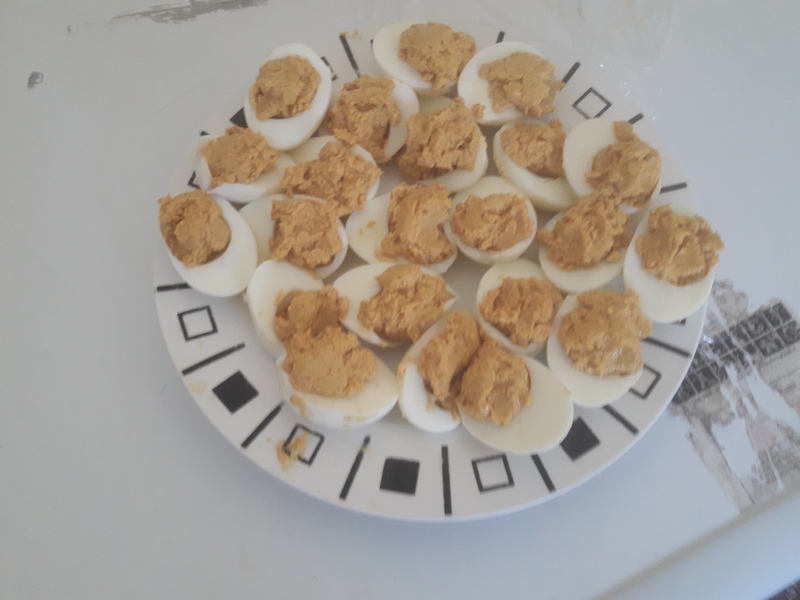 12 hard boiled eggs shelled. 1 cup of vinegar, 1 cup of water 1tablespoon of salt some garlic cloves, chillies and a teaspoon of pickling spice. Bring the mix to the boil and while this happens pack the eggs into a preserving jar. Pour the boiling pickle over the eggs making sure they are covered. Leave to mature for 2 weeks then enjoy in your own company. veitnamcam, Pengy and Tommy like this.